In case you have not noticed, I have been on a hot chocolate kick lately. Maybe it is because we are suddenly having real winter weather. Or maybe it is that my kids have finally learned how delicious hot cocoa is. 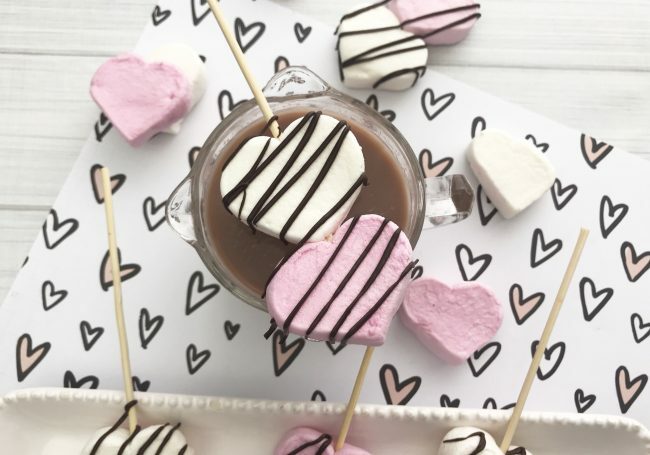 Either way, I am loving it and we all know hot cocoa is all about the marshmallows. 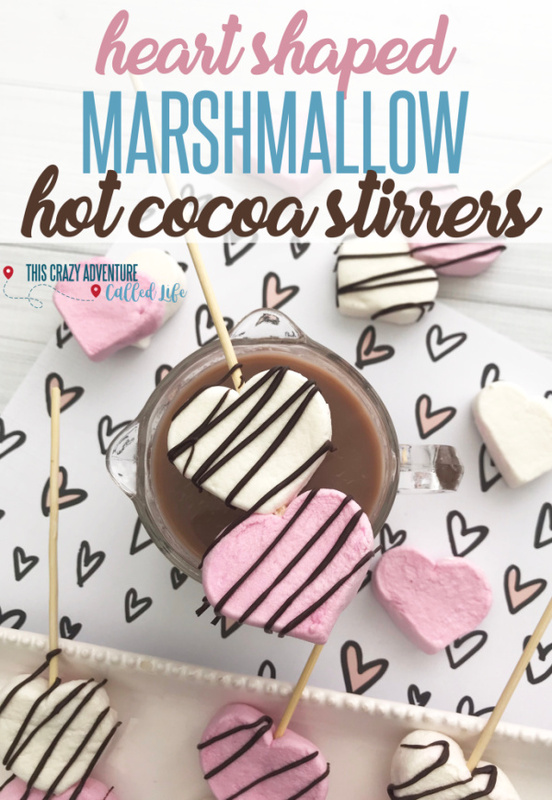 So today I am sharing how to make some cute heart shaped hot cocoa marshmallow stirrers. 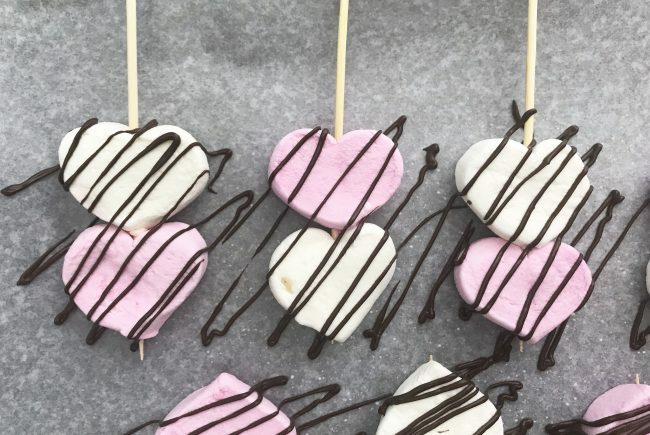 These heart themed marshmallow stirrers are perfect for Valentine’s Day or really, anytime of year. 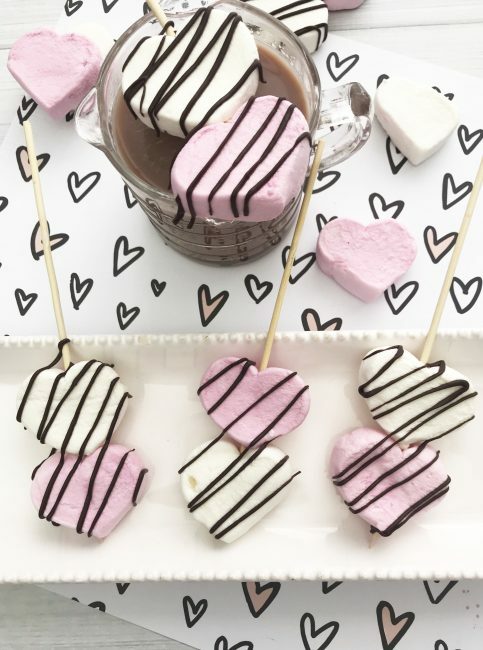 They are super cute and a great way to add a special touch to your hot cocoa. 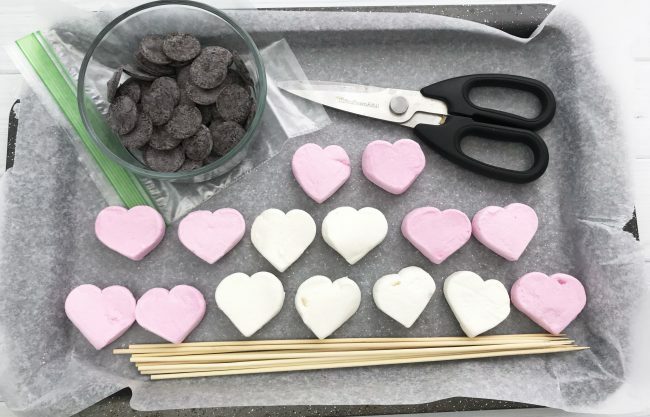 Best of all, they are super easy to make. These are going to go great with my cookies and cream hot chocolate recipe that I am currently just a little obsessed with. 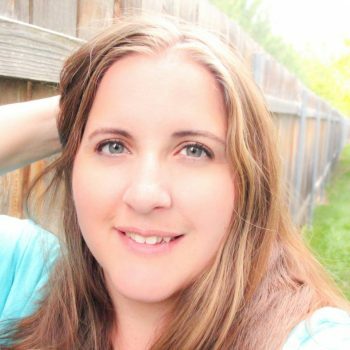 This is so simple you will be amazed. The hardest part is probably getting the marshmallows. Not even kidding. 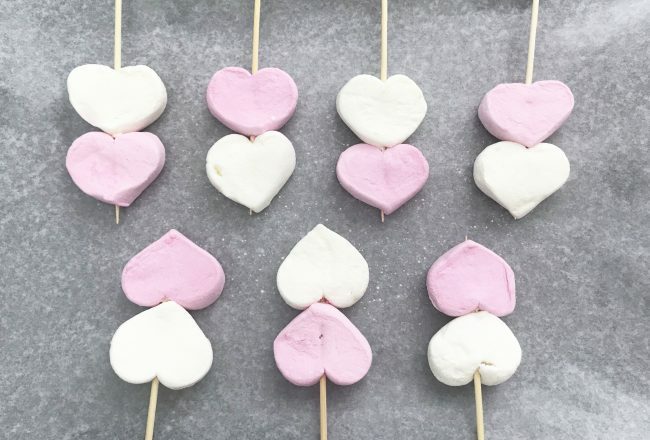 You can find heart shaped marshmallows for these stirrers pretty easily around Valentine’s Day, so stock up on them if you want to make them all year round. Gently skewer 2 marshmallows on each BBQ skewer. Use the kitchen scissors to trim down the BBQ skewer 2-3 inches and place them on the baking sheet. Pour 5 oz of the Wilton candy melts into a microwave safe dish. Heat in the microwave in 30 second increments, stirring occasionally until melted. Let the melted chocolate cool a few minutes and scoop into the small sandwich baggy. 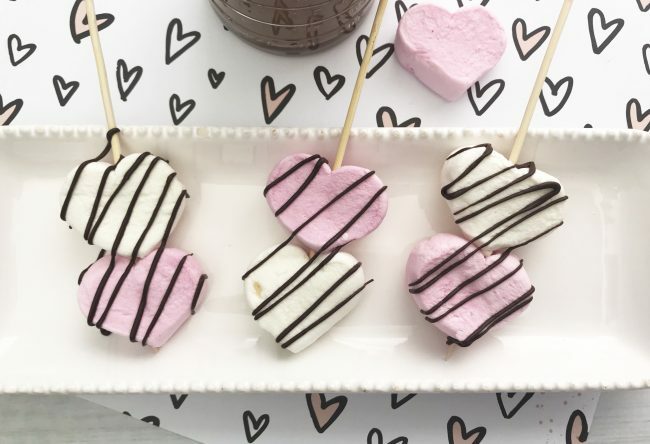 Snip one corner of the sandwich baggy and gently squeeze the melted chocolate over the marshmallows in a zig-zag pattern. Repeat with all marshmallow stirrers. Let the melted chocolate cool a few minutes and scoop into the small sandwich baggy. Snip one corner of the sandwich baggy and gently squeeze the melted chocolate over the marshmallows in a zig-zag pattern. « When Are Disneyland Crowds Lightest?